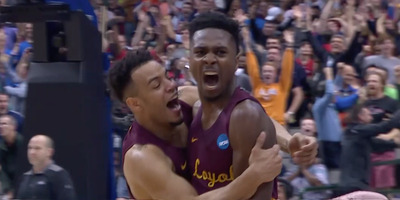 NCAA March Madness FastbreakLoyola-Chicago earned their first NCAA Tournament win in 33 years with a dramatic three in the final second of the game. No. 11 Loyola-Chicago gave basketball fans the first upset win of the 2018 NCAA Tournament with a dramatic win over the No. 6 Miami Hurricanes. Coming into the game, Loyola-Chicago had been a trendy upset pick for the first round of the tournament, and in the final seconds of their game, they proved their believers right. The Ramblers will face No. 3 Tennessee in the second round on Saturday, with a spot in the Sweet 16 on the line. No. 11 Loyola-Chicago took home the first upset win of March Madness on Thursday with the help of a dramatic three in the final second of the game, taking down the No. 6 Miami Hurricanes in the first round of the NCAA Tournament. With 10 seconds left, the outlook was not good for the Ramblers. After missing two layups that could’ve given them the lead, Loyola-Chicago was forced to foul to stop the clock and send Miami to the line for a one-and-one. Lonnie Walker missed the first shot from the stripe after the ball seemed to hang on the rim for eternity. The Ramblers came down with the rebound, and rather than take their timeout, hurried the ball down the court. Donte Ingram got the ball at the edge of the center-court logo and put up a heave, sending the crowd into hysterics. The referees would review the play and determine that it wasn’t technically a buzzer beater – the Hurricanes were left with 0.3 seconds on the clock. But after a Hail Mary throw down the court came up short, the Ramblers walked away victorious. 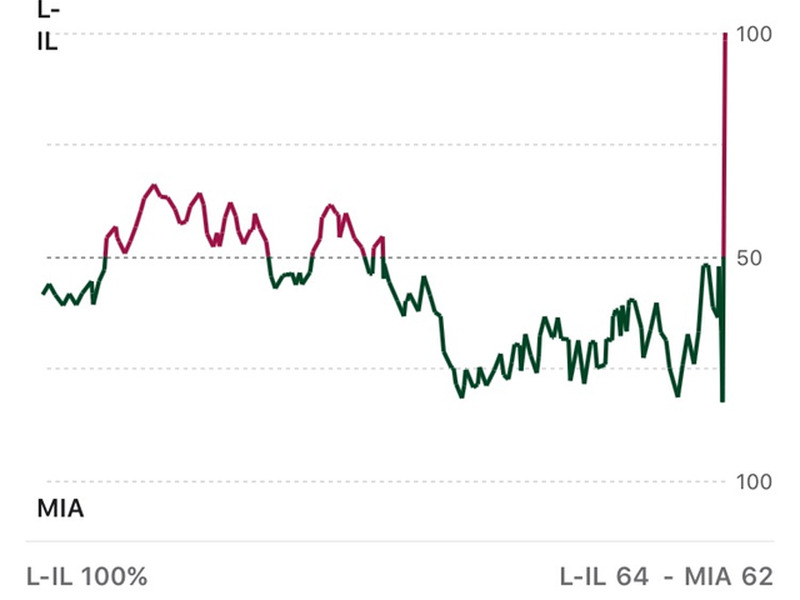 It was an unlikely win for Loyola-Chicago, as evidenced by the dramatic finale of the gameflow chart. 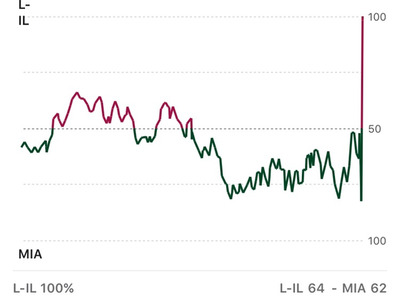 ESPNESPN’s gameflow chart shows just how dramatic the game’s finale was. The Ramblers entered the game as a trendy upset pick, with some even taking them all the way to the Sweet 16. Coming into the tournament, they had won ten straight games en route to taking the Missouri Valley title. Additionally, the Hurricanes were without their leading scorer and rebounder Bruce Brown Jr. due to injury. FiveThirtyEight gave Loyola-Chicago a 40% chance at winning the game, and a 14% chance to make it to the second weekend of the tournament. Loyola-Chicago will look to continue their Cinderella run on Saturday, where they will meet the Tennessee Volunteers with a spot in the Sweet 16 on the line.